After changes were made by the American Heart Association to the US Blood Pressure guidelines in 2017, almost half of American adults are now classed as living with high blood pressure. The previous American threshold for high blood pressure was 140/90 mmHG (as in the UK) but this has been changed to 130/80 mmHG, so anyone with readings above this are recognized as having high blood pressure. Therefore, 103 million Americans need to lower their blood pressure by making changes to their lifestyle. People who are affected by the new guidelines need to alter their lifestyle by improving fitness and with healthier diet choices in order to lower their blood pressure. 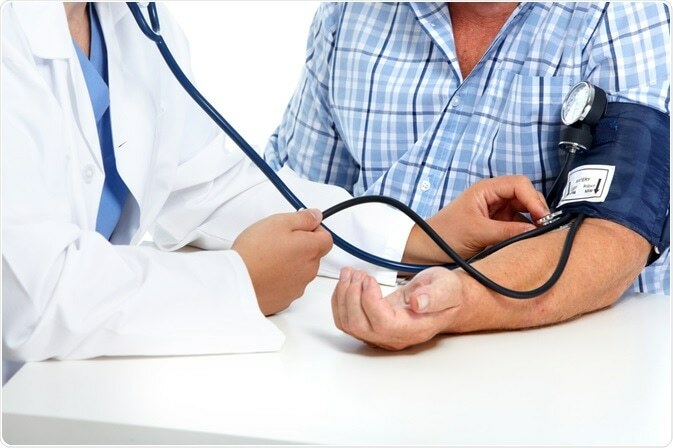 People with higher readings in more serious cases must also take medication to lower their blood pressure and minimize the risk of the more serious effects of hypertension, which include stroke and heart attack. The American Heart Association is giving the clear message that, when it comes to blood pressure, lower is better. It is hoped that the updated recommendations will help to improve cardiovascular health for adults across America. A blood pressure reading measures how much force the blood places on the walls of the arteries when the heart is resting (diastolic pressure) and each time the heart beats (systolic pressure). The new guidelines still class a healthy reading as 120/80 mmHG, but now there is a smaller gap between being healthy and the lowest hypertension threshold (130). Anyone with a systolic reading of between 120-129 would previously have been considered pre-hypertensive. However, under the new guidelines they will be treated as having hypertension, which carries a larger risk for serious health complications. Compared to those with a healthy blood pressure, people with a systolic reading between 130-140 are almost two times as likely to have a stroke or heart attack. The new American guidelines are designed to increase awareness of the importance of understanding and measuring blood pressure and also to remind people to be more mindful of the health of their heart. By tackling blood pressure before the readings become too high means that smaller lifestyle changes can make a big difference. This also means that more drastic measures, such as prescribing medication immediately may not be necessary. Will these Guidelines be Recognised in the UK? The question now obviously follows as to whether the UK will follow the US and make the same changes. The National Institute for Health and Care Excellence (NICE) is in the process of considering evidence from the US and is due to publish any changes on Thursday 22nd August 2019. Up to 50% of adults could be placed into the High Blood Pressure category if the advice is adopted in the UK. As we are already aware of these potential new guidelines, we can educate ourselves on our own blood pressure levels and make any necessary changes before out health is at risk. A helpful tool in understanding and controlling our own blood pressure is a home blood pressure monitor. Testing at home can help us feel more at ease and give more accurate readings, and it also take less time than seeing the GP. Kinetik Blood Pressure Monitors are tested to the ESH standards (European Society of Hypertension) and so are accurate as well as easy to use.